Ideal for labeling smaller items like jars, boxes, garage sale items and more, these All Purpose Self-Adhesive Labels feature white paper labels with writable surfaces and permanent adhesive on back. Includes 500 labels. 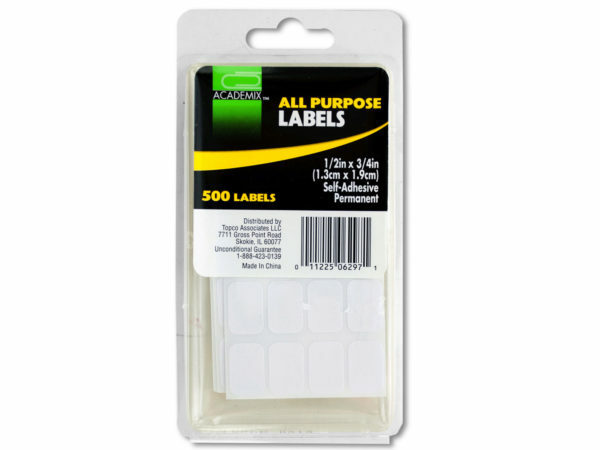 Labels measure approximately 1/2" x 3/4". Comes packaged in a clam shell.